Benefit from holistic project planning right through to the implementation with a dedicated resource. Your assignment is safe with us. We speak your language and understand your requirements. Together we will develop the best solution as quickly as possible. Are you planning to retrofit your existing packaging lines with a track & trace system? We integrate individual solutions according to your requirements. 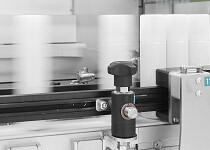 Already have an integrated a track & trace system in your packaging line?